Gilbert Business Lawyers & Corporate Attorneys at Denton Peterson, P.C. As a business owner, you need an attorney who gets it. You need someone who understands the unique struggles you face, and has expertise in the laws that affect you. 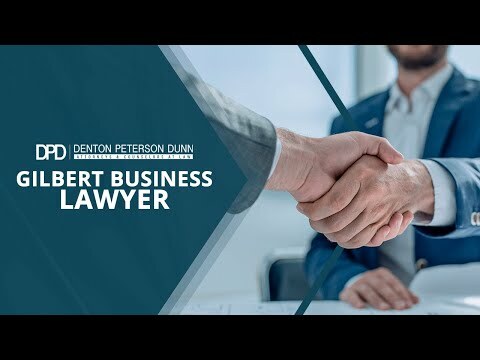 The Gilbert business lawyers at Denton Peterson PC have been in business for many years, so they understand the unique challenges that business owners face, and they have the legal expertise you need to guide you. Between managing your employees, marketing to customers, and trying to grow your business, you don’t have time to worry about the legal ins and outs such as when certain filings are due or what guidelines you have to have in place. That’s why you need to work with a corporate attorney from our firm. Our team will manage those details for you and give you advice on what actions you need to take to meet your legal obligations and to minimize your liability. Should I Have a Non-Compete Agreement? Building the right foundation is essential to your business success. Part of that is choosing the right business structure or entity. An Arizona business lawyer from our team will help you understand the benefits and disadvantages of the different entity types for your business, including sole proprietorship, partnership, limited liability company and corporation. There are also variations on some of these entities that may better fit your specific situation. Your choice of business structure may affect the type and amount of taxes you pay, how much liability you bear as an individual, how much control you are able to exert over the business, the relationship between the business partners and so on. We’ll talk through your goals for your business and help you understand how each entity type aligns with those goals to help you make the decision that best fits your situation. Part of operating a business involves filing or preparing the right paperwork at the time of the formation of your business or when you provide financial updates about it. The type of filings required for your business depend on your entity type, industry and possibly other criteria. We’ll help with whatever filings your business needs to submit, and we’ll help you understand all the legal issues associated with such filings. Call us today to learn more about how a Gilbert corporate attorney can help your business. Contracts are at the heart of doing business. Most, if not all transactions your business is involved in should be in writing, from hiring employees to buying inventory. But if the contract is not written properly, you are leaving yourself open to liability and loss. A partner could claim he should receive more profits, a party to a contract that did not work out could refuse to refund your money, or a stock holder could sue you for alleged improper actions taken as a business officer. We can create any contract that you need in the course of the operation of your business, and we will write it to minimize your liability and protect your rights. For help from Arizona non-compete lawyers and help with a variety of business filings, contact Denton Peterson PC today! Unfortunately, doing business is not without its risks. You may find yourself the object of a lawsuit, or you may need to sue a partner or supplier for breach of contract or negligence. Our experienced Gilbert corporate attorneys can represent you in litigation ranging from contract disputes to business torts. We represent clients on matters related to breach of contract, corporate governance, insurance coverage, real estate holdings, copyright infringement, interference with business expectancies and more. Our accomplished attorneys have a reputation for success. Call us today to learn more about how a Gilbert corporate attorney can help your business. Running your business without an attorney is like walking a tight rope without a net. Don’t wait until you fall to try to protect yourself. Gilbert Service Areas – Denton Peterson P.C.